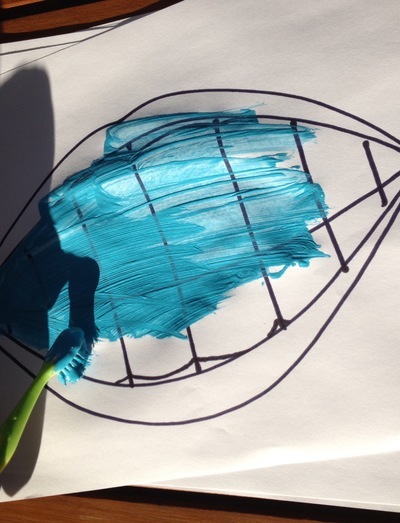 Encourage a love of dentistry through painting! 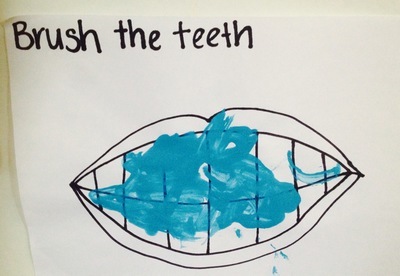 Draw a large toothy smile on the paper. Mix the paint and glitter paint together. Add a few drops of peppermint essence to create a toothpaste like medium. Have children use the old tooth brush to brush the teeth. You brush your teeth, ch ch ch ch, ch ch ch ch"
Extend your activity with other dental themed paintings.